My father, William McDonald Devenport, was born December 3, 1864, at Washoe, Washoe County, Nevada. Washoe is a small place near Carson City, Nevada. At the time he was born there in 1864, there was a rush to the mines in Virginia City gold gulch. 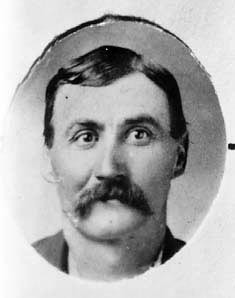 His father, James McDonald Devenport had lived in Arkansas, in Benton County, where he owned farms and sold them and moved to Colorado (near where Denver is now) at Russell Gulch, which was then in Kansas Territory. In the 1860 Census, his occupation is given as merchant and $5,000 as the valuation of his property. James lived here only two years and moved to Nevada when the gold rush was on. There the 1870 Census shows him as a farmer, and he probably sold produce to the miners at a high price. William’s parents were James McDonald Devenport and Mary Hasty. They had 13 children 7 girls and 6 boys, and all but one girl (Nancy Birch) lived to raise a family, but 3 boys died in youth and one after adult­hood but not married. Up to the time father was 21 years old, he lived near mining towns and, as his family were not members of the Latter-day Saint Church, he had never heard of the Word of Wisdom and they used tobacco and coffee and, I suppose, liquor, as they did in the South, and his forefathers raised tobacco in Tennessee and Kentucky. My father never smoked or drank liquor. In 1880, the Devenports moved to Mancos, Montezuma County, Colorado, and there they farmed and also worked at different jobs. Mary, the wife, died in 1883 of rheumatism. She was a tall woman — 6 ft. in her stocking feet. She had very dark hair and eyes. Her children said she was Pennsylvania Dutch, but we have never been able to find her parents’ names. But her husband, James Devenport, received money in the property settlement of Benjamin Hasty, whom we think was her grandfather. She was born in Tennessee in 1830 and married there also in December of 1844. My father met my mother, Sarah Jane Barker, in Mancos, and they were married December 14, 1885. He had been baptized in August of that year. He was the only member of his family ever to join the L.D.S. Church. He was very ill shortly after his marriage and the Branch President baptized him 8 times in succession for his health and he ~vas administered to and was immedi­ately healed. Many times in the family, the members were healed through the Priesthood and prayer. My father was very humble and strict in observance of the gospel and taught his children to always attend church and organization meetings. He was an officer in Priesthood work and a Counselor in the Sunday School. He was Presiding Elder over the Cortez Branch in about 1903-04. He had to ride horseback the 25 miles from Mancos on Saturday and back after Sunday meetings. He was a High Priest and High Counselor in the Young Stake of Zion. He bore his testimony often on the Fast & Testimony days and paid tithing faithfully. In 1908, he moved with his family to Redmesa, Colo­rado, and there built a brick house himself, with the help of his children. 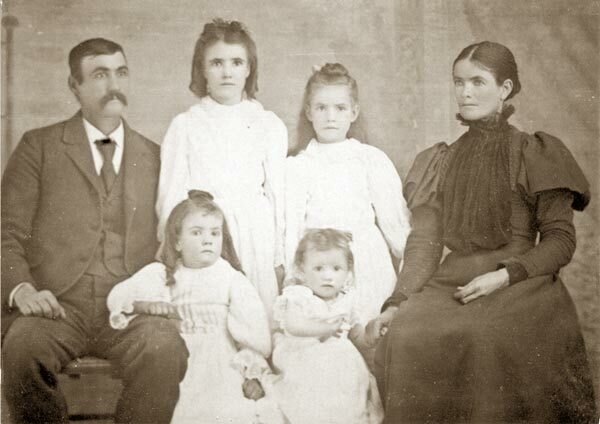 (William and Sarah had six daughters and one son Mary Estella, born October 9, 1886 and died when she was almost seven, August 26, 1893; Bertha, born September 18, 1888; Myrtle Melissa, born November 2, 1890; Dora Elizabeth, born April 15, 1893, died February 19, 1909; Ida May born Feb. 7, 1897; Sarah Wilhelmina, born July 25, 1900, died January 8, 1901; and one son, Karl William, born December 20, 1902.) William farmed and had sheep and cows and horses. Much of the time in his earlier years, the family had a large herd of dairy cows and made cheese or sold cream. In September 1923, he with his wife and son, Karl, moved to Provo, Utah, to live with their daughter, Bertha, who had been a widow since 1914. She taught at Brigham Young University. Karl went on a mission to the Northwestern States. Father worked on farms irrigating and helping. In 1926 or 1927, they all took a trip to the Northwest to tour and visit mother’s sister, Kate Pinkerton. Father’s health was very poor as he suffered from a cancer of the colon and died after an operation 21 January 1928.